Daniel Ricciardo is confident Red Bull can make more of an impression at the German Grand Prix after Ferrari and Mercedes left them for dust in Great Britain last time out. Ricciardo finished fifth at Silverstone, but was over a second off the pace of Lewis Hamilton in qualifying and never made a dent in the race. The high-downforce nature of modern F1 cars meant Red Bull's usual aerodynamic advantage was neutered at Silverstone, allowing Ferrari and Mercedes to exploit their greater power. Having enjoyed previous runs at Hockenheim, including a second-place finish two years ago, the Australian has backed the team to bounce back next weekend, when the race will feature an extra DRS zone. "Hockenheim is a fun circuit and I've always enjoyed going there," Ricciardo said. "My highlight is probably the battle I had there with Alonso in 2014 which I loved. Turn one is super-fast and the track is good for overtaking. "The stadium section is also fast with a big bold left hander. All round it's a good track and one I've always gone well on and enjoyed." 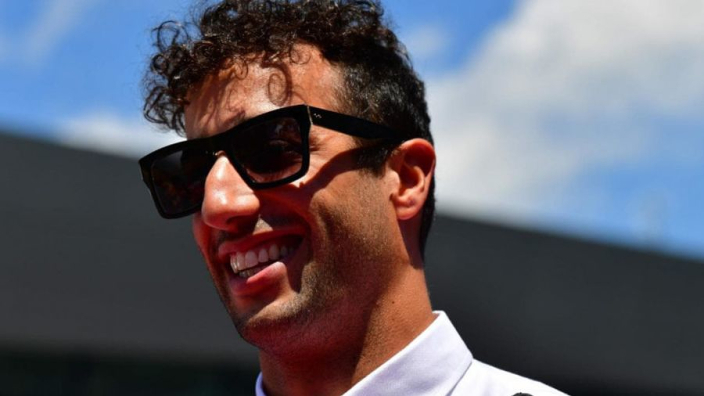 Since his brilliant victory in Monaco, Ricciardo has not taken to the podium, finishing fourth in Canada and France, fifth at Silverstone and suffering an exhaust issue for a DNF in Austria. "It's good to have a bit of a break after the triple header as things haven't quite gone my way over the last three races, but I'm looking forward to getting back on track and to things turning around in Germany and Hungary. "The German crowds are great, the German beer is good and of course I always look forward to more Schnitzel."